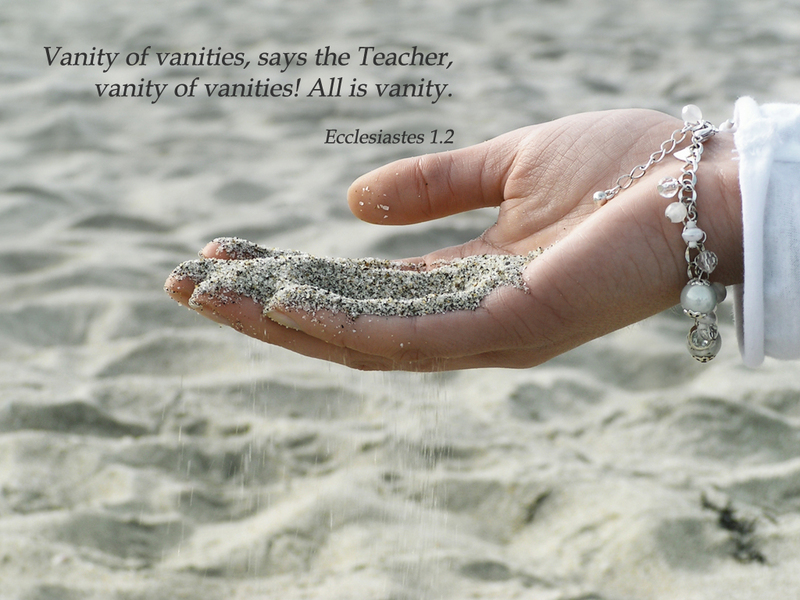 Solomon doesn't say much about women in Ecclesiastes. The book is brilliant philosophy, and in my opinion of great spiritual value, but when it comes to women, its author is saving his fire. Like Job and Psalms, most mentions are in passing, and conventional -- with one shot of misogyny, and then one far more positive image, one of the book. Song of Solomon, by contrast, is a beautiful love poem. While its imagery is sensual and imaginative, and little is said about the purported author's sexual morality (which is questioned elsewhere in the Old Testament), I believe the poem has the emotional effect of calling polygamy into question perhaps on a more visceral level that formal protests elsewhere in the OT. 2.8: "I amassed silver and gold for myself, and the treasure of kings and provinces. I acquired male and female singers, and a harem as well—the delights of a man’s heart." 7.26, 28: " I find more bitter than death the woman who is a snare, whose heart is a trap and whose hands are chains. The man who pleases God will escape her but the sinner she will ensnare . . . I found one upright man among a thousand but not one upright woman among them all." 9.9: "Enjoy life with your wife, whom you love, all the days of this meaningless life that God has given you under the sun—all your meaningless days." From some points of view, Ecclesiastes is a depressing book. Chesterton certainly found it too pessimistic, and was glad (with the Gospel) to be rid of such sentiments. I'm not so sure. Orwell seemed fond of its clear-headed realism, and held up a passage from Ecclesiastes to contrast favorably with corrupt modern English language. And there is something magnificent and bracing about the realism and clarity with which Solomon (if it is Solomon) considers the futile and temporary pleasures of life. Solomon has wine, women, and song, he has built great halls and wowed pagan queens with his wisdom, but like Bono, he "still hasn't found what he's looking for." The fact that, like Buddha, he has climbed Maslow's Hierarchy of Needs before declaring it all "empty," I think forces us back to the Ground of our Being. He has climbed the peak of human success, and is able to relay what he sees beyond to those of us struggling further downt the slopes -- the rat race is not to the swiftest rat, and all you get in the end is a piece of stale cheese. Still, we are left in the end with God, and with our spouses. And like the Voice of the Creator, one can still hear a faint "It is good." And one therefore wonders if maybe Solomon had too much experience of women to really enjoy one. Which makes Song of Solomon interesting. This is a love poem between a king (traditionally assumed to be Solomon) and his new bride. It is shamelessly sensual, which has caused many blushing Jewish and Christian theologians to "reinterpret" it as allegory of God's love for Israel or the Church. And such interpretation may be legitimate, if one does not use it to obscure the poem's plain, romantic, physical meaning. An added layer of meaning should be just that -- something extra, like whipped cream on a cake, not losing the cake. What this poem does is affirm passion between men and women within marriage, including a woman's sexuality. There is nothing in it to suggest that female circumcision is required to keep women in line, sorry, Islamicists. There is nothing to suggest that women should stay indoors, sorry, Manu. The poem's gusto, sensual metaphors, and lack of inhibition or shame give the lie to any notion that sexual love that engages all the senses should never be part of the life of a man or woman who seeks to follow God. Song of Solomon is also a nature poem, which compares lovers or parts of them to gazelle, deer and rabbits, flocks of sheep, dew on flowers, doves in the cleft of the rock, mountain scents, orchards, herbs, spices, fountains, and stately architecture. In it, the two lovers rejoice in the beauty and appeal of the one they love. She: "My beloved is to me a sachet of myrrh resting between my breasts. My beloved is to me a cluster of henna blossoms from the vineyards of En Gedi." He: How beautiful you are, my darling! She: How handsome you are, my beloved! But such issues can be ignored, for the poem itself -- whoever wrote it -- is monogamous. She only has eyes for him. And he likewise only has eyes for her. The poem would be ruined if she were one of several lovers. It simply would not scan. It would be, as Chesterton put it, vulgar: "like making love to the moon and then complaining that Jupiter kept his wives in a harem." It seems that even when a man so experienced as King Solomon gets serious about love, monogamy is his natural language. And so we are forced back upon Genesis: "The man shall leave his father and mother, and cling to his wife, and the two shall become as one." So the Old Testament may not explicitly command monogamy, but does prepare us for it in three ways: (1) By defining it as normative in the Creation story; (2) by implicitly and explicitly decrying the harm that polygamy brings, again and again; (3) by giving us only monogamous stories of truly successful love, while depicting each polygamous relationship as flawed and damaging to the following generations.